Made in Canada - CMP vehicles > Ford's 1945 C291Q model - the F22? 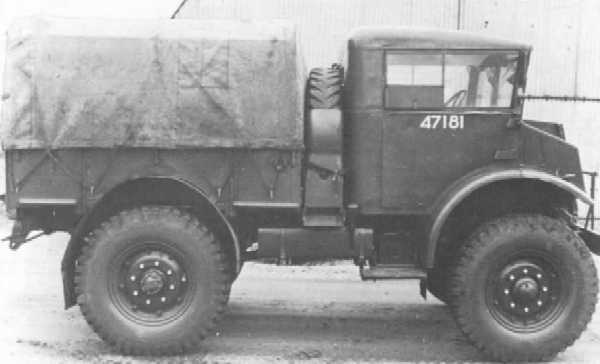 Bart Vanderveen, on page 53 of Historic Military Vehicles Directory, mentions that Ford produced its C291Q chassis with full cab and no winch until late 1945 with GS and tanker bodywork. 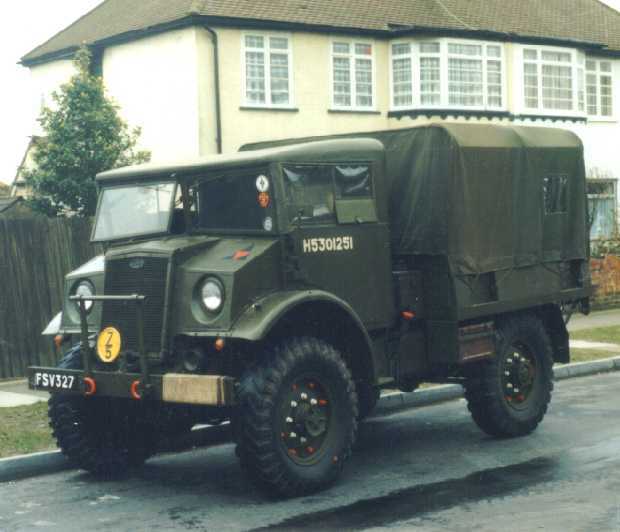 Brian Nunn of Great Britain owns one of these trucks, which he labels as a "1945 CMP Ford F22". For more background information and pictures click here. "Well, basically this vehicle is a F15A with a few uprated bits and pieces, to make it a little bit more suited for towing a gun. Although a short wheel base vehicle, all the running gear, i.e. axles, brakes, suspension is the same or similar to that from the F60 range, including running on 10:50 x 20" tyres. Although no which is fitted, the transfer box, does have the required take offs available. This box also has a reduction gear ratio when four wheel drive is selected. A number 13 cab is fitted, with a standard F15 C.K.D. Budd's all steel body, and full width tool box behind the cab, no spare wheel is carried. I believe run-flat tyres were used. The radiator is huge, and holds about another gallon of water, has a large header tank, which requires a raised dome in the bonnet (hood) to allow for the radiator cap. The chassis is made up as the standard type for the F15 range but with a secondary chassis fitted to the inside of the standard one. The towing attachment is mounted in the same manner as the Gun Tractors. The list goes on and on, with all the alterations, if any body has any information on this type of vehicle, then I would appreciate your input." Ford C291Q: C = Canadian, 2 = 1942 model introduction year, 9 = 95-hp V8 engine, Q = 4-wheel drive. Other than what we've seen in Wheels & Tracks, etc., I find no references to a production C291QL. Ford's own export records do list, in addition to the standard C291Q FAT, a number of C291QH FATs and C291QR RE vehicles being sent to India in 1943, but no C291QLs. I don't know what the H and R types were. I find no references to a factory-produced F22. The extensive stampings on the chassis tells me that much of its present state is due to a lot of modification in an end-user's shops. Chassis of 1943-44-45 vintage were stamped only with two marks, the model code and the vehicle serial number, the latter usually being found on the outer face of the right rail near the rear end. All the other info would be provided on the data plates. Given what I now know, I'm strongly of the opinion that Brian's truck was a British Army assembly modified for their own purposes. The CK- prefix, I assume, means "complete knockdown" just as SU- stands for (postwar) supplementary production however I have not seen any official explanation to confirm these meanings. The information shown on the data plate doesn't seem right either. To start with, is it an actual Ford plate or a made-up replacement? I don't have a record of SM-6389 but it seems a bit young for the November 12, 1945 date given as does the serial number. By example, I offer a Ford F60L/WP built to contract SM-6537 on 4 Sept. 1945 which has s/n SU301065 and e/n 5G-11449F. This vehicle had a full set of original data plates, which matched the vehicle, and was seen by me a dozen years ago, that's long before CMP restorers started fabricating their own imitation plates. Ford issued its serial numbers in the order of production, regardless of the model. This allowed home office to know exactly, and quite simply, what their monthly output was. Brian's truck therefore could not have been produced 64925 units later than one built two months earlier. One must assume that it was assembled in the UK, from parts, on Nov. 12th. Which brings us to the ".L". Simply stated, this was the end user's way of telling us that the truck was a Lorry version of a C291Q. The F.22 is telling us that this is the WD's model 22 modification of a Ford. I know that this logic is seems all too simple to be true but my gut feeling is that that is the case. If one of you has access to FVE archived records for the late 1940ies, perhaps you'll find some interesting drawings and reports on a Model 22 truck. It really doesn't contain any new facts, just a few extended thoughts as I see them. Perhaps the logic does make sense and if so, may turn out to be of help." Early 2001, Keith Webb came up with a picture of a data plate. The vehicle it was on was photographed in the 1970s in Australia, of all places! The plate denotes this vehicle is another C291Q.L-W chassis with "full" cab, built on May 26 1945. Compare it with the date plate of s/n CK-236140 shown directly below it. Meanwhile, a couple of other similar vehicles have surfaced, proving that at least some of them were supplied to Australia. See the page on surviving vehicles and Keith's page on The search for the F22 in Australia for more pictures of the truck. It turns out that there were more FATs with peculiar cab/body combinations. In Wheels & Tracks no.9, p.33, Bart Vanderveen shows a Canadian Chevrolet which "looks like a C15A with 20-in. wheels or possibly a CGT and is described as a 'Chevrolet 3-ton 4x4, 101-in. wb, Compressor, Modified'. The body is unmistakably British." It is unknown who built it and how many were made. The photo shows one in post-war use with the Dutch Army. Also, compare the trucks above with the "Indian pattern" FAT. The British ordered a number of Ford and Chevrolet FAT chassis/cabs. They were fitted with a wooden GS-styled FAT body, which were most likely built and fitted in India. Reportedly, these FATs did not have a winch. Are these "Indian pattern" FATs the C291QH chassis sent to India in 1943? (see Peter Ford's comments above). A number of Ford and Chevrolet FAT chassis were bodied with wooden FAT bodies in India. At least one Chevrolet 3-ton 4x4, 101-in. wheelbase (i.e. FAT) chassis was fitted with a British compressor body. In 1944-45 a number of Ford C291Q FAT chassis were built with GS and Water Tank bodies. 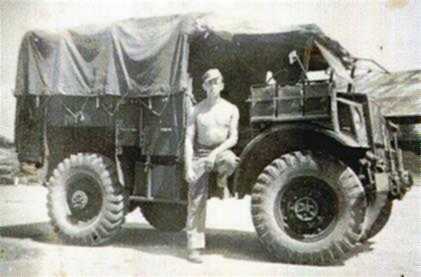 The chassis did not have a winch, but were otherwise standard FAT chassis. They were fitted with a full No. 13 cab and the chassis were stamped "F22". What does the "L-W." in "C291Q.L-W." stand for? Where were these trucks built? Fact is that Great Britain, Australia and India did receive a number of CKD (Complete Knock Down) kits. These were not complete vehicles built up in Canada and then disassembled to some extent to facilitate shipping, but kits of parts that were to be built in overseas factories with a high degree of local content. 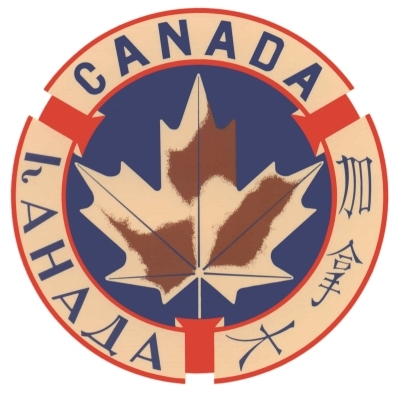 Thus, a number of local versions existed which might not all be listed in Canadian manuals. Where and when were they used? Any information pertaining this vehicle is welcome: please tell us or post a reply to the thread "Ford F22 FGT" on the Maple Leaf Up Forum.